In 2014, Annie was named one of the Top 5 Stagers in Los Angeles by Angeleno Magazine. She was also chosen as the 2011 Professional Stager of the Year for all of North America by the Real Estate Staging Association (RESA). She is a SAR Certified Stager, an ASP (Accredited Staging Professional), a Vacant Property Specialist, a RESA-PRO, and an affiliate member of the Beverly Hills/Greater Los Angeles Association of Realtors. Annie has Staged homes for Bravo's hit show "Million Dollar Listing" and TLC's "Property Ladder." She has also been featured in books and recent articles on Staging in Los Angeles Magazine, The New York Times, Costco Connection and Frontiers Magazine. LA Westside's Fresh & Innovative Home Staging Studio | Best of Houzz! We were one of the very first home staging companies in Los Angeles. Voted the best home stager in Los Angeles over the past 8 years, we take pride in creating just the right ambiance in each project we do. Our goal is to maximize the interest in the properties we are staging. This will increase the odds of maximizing the sales price for our clients. We service Santa Monica, West Los Angeles, Brentwood, Westwood, Beverly Hills, Bel Aire, West Hollywood, Hollywood, Silver Lake, Los Feliz, Redondo Beach, Hermosa Beach, Pacific Palisades, Palos Verdes, Manhattan Beach, Malibu, Pasadena, San Fernando Valley and anywhere in between. We now offer a furniture rental division. Designed for anyone who wants to stage a house for sale on their own and have complete control over the home staging process. We give you the tools to bring out your inner Home Stager. With 25+ years as LA's leading home staging company & voted one of LA's best home staging company 2014-2015 we decided to create a place where home stagers, real estate agents and home sellers could rent staging furniture and have more control over staging properties on their own. Design to Sell is a home staging and interior design company in Los Angeles, led by an interior designer with an extensive background in realty. If you have a house to sell, our team of talented stagers will turn that house into a beautiful, welcoming home that will help attract potential buyers. We not only help homes on the market sell faster (and often for a higher price), but also redecorate and redesign living spaces that aren't for sale, helping home-owners turn their houses into their ideal homes. THE CLOSING STAGE has been awarded "Best Of Houzz 2015 and 2016" for Customer Satisfaction by Houzz, the leading platform for home remodeling and design. In 2014 THE CLOSING STAGE was named as one of the top ten rising stagers of North America and recognized by The Real Estate Staging Association® (RESA®) for her outstanding contributions and personal accomplishments. She is French, born and raised in Paris. Before moving to California, she was a successful real estate agent with ORPI, a well-known French company. As a former realtor, she knows that every home will sell eventually; but what matters to you, is how soon and for how much! Professional and creative, Valerie will add life to your property and will make the difference in both the price and turnaround of your sale! What does a Santa Monica home stager do? 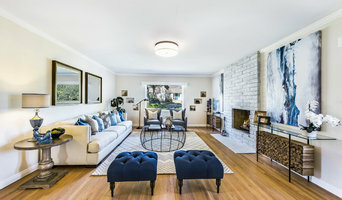 Home staging companies in Santa Monica, CA employ a variety of different techniques to present the home in the best light possible. The first step will likely be to make sure the home is impeccably clean, including the exterior of the house. Next the home stager will work on removing the personal touches that are unique to the current owners. Paint colors might go from dramatic reds and purples to neutral tones like beige and taupe, in order to appeal to the masses. The home will likely be cleared of family photos, risqué artwork, collections and knickknacks, so potential buyers will be able to better envision their own life in the house. In some cases furniture will be swapped out, and you might not even recognize your own house. Some Santa Monica home stagers tackle most of these tasks themselves, while others work with subcontractors and other professionals to get the job done. Here are some related professionals and vendors to complement the work of home stagers: Interior Designers & Decorators, Photographers, Real Estate Agents. The process of staging a home can be difficult for some homeowners, especially when being asked to change things you’ve poured your heart and soul into over the years; but try not to take anything personally, as the stager only has your best interest in mind and no intention of insulting your personal taste. Before you contact a professional home staging company in Santa Monica, CA, make sure to consider a few things: Are you willing to change your home and take the advice of this professional to help sell your house? Do you think your house would greatly benefit from the help of a stager? How long are you comfortable having your home on the market? A staged home is likely to sell faster and, on occasion, at a higher asking price than a non-staged home. While there is no guarantee this will always be the case, it’s often true and can make the entire selling and moving process a lot less stressful in the long run. If you are selling through a real estate agent, it’s a good idea to get their opinion on whether staging your home would be beneficial to your specific situation. Find a certified Santa Monica home stager on Houzz. 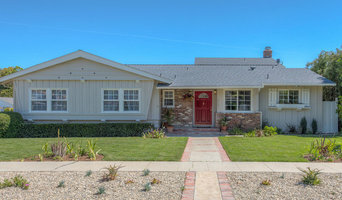 Narrow your search in the Professionals section of the website to Santa Monica, CA home stagers. You can also look through Santa Monica, CA photos by style to find a room you like, then contact the professional who staged it.